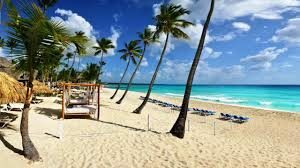 Bayahibe is a beach resort town about :50 minutes from the Punta Cana International Airport. Known for their calm turquoise waters, this destination is another great spot for vacations. A small golf course community called La Estancia sits just down the street from this beach town and offers a picturesque golf course.